Nothing spectacular today, just the news that UPS delivered the new EN-EL15 battery today. 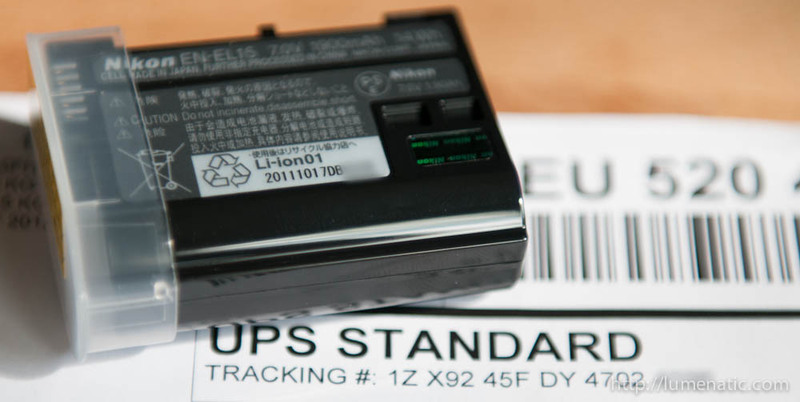 The delivery man opens the package, hands you the new battery, takes the old one, you sign the delivery and that’s it. Now I have to wait for my D800 to come back from Nikon service and let’s hope they got the CLS problem fixed.